Puff ink is an opaque base that raises up when heat set to provide a raised print effect. Suited to printing 100% cotton through to 100% polyester, and all blends/ mixtures in between, Puff fabric inks do not require a white base coat to be pre-printed under colours for solid coverage (as with old style Permaset inks). 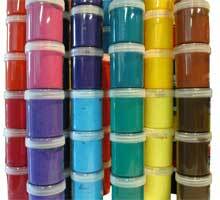 A thicker ink due to the high levels of pigments, Puff ink is commonly mixed with Retarder to make the ink 'wetter' and more workable during printing. 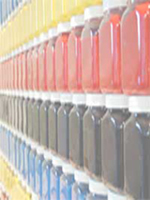 Retarder mixes with the base of the ink to thin the ink without thinning the pigment, adding water also thins the ink, but also thins the pigments as well.